We all know that hula hooping has many natural health benefits. One benefit I see time and time again is that it helps people suffering from chronic mental health disorders, one in particular: anxiety disorder. Speaking from personal experience, anxiety disorder is an extreme challenge to live with. I have personally lost many jobs, been sick time and time again. Once I was even close to hospitalization. I have tried medication after medication, therapy after therapy. Even some things I'm not proud to admit I tried. All just to feel better, to not be scared all the time. If I were to describe a panic attack to you, I would say this: Imagine that feeling you get when you have to slam on the breaks in your car. Your heart sinks, maybe you feel sick, you stop breathing for a minute. Having panic attacks is that feeling multiple times a day, often for no reason at all. Currently I still struggle but I have found that the one thing that really works for me is hula hooping. Before I found these lovely circles I was so stricken with anxiety it was almost debilitating. I had virtually no friends, multiple major panic attacks daily. Inside the hoop though, it's like I'm in my own literal circle where there are no bad things, no bad people, only happiness. It's okay to feel how I feel and I know that with each spin of the hoop the moments will pass and I will once again feel okay. racing heart, shortness of breath, nausea and in severe cases even fainting or loss of consciousness. 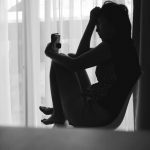 Anxiety disorders are the most common mental disorders in the United States, affecting about 40 million people over the age of 18. This is 18% of the U.S. population. Women are twice as likely to be affected than men. 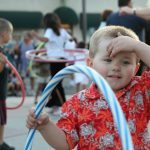 So how does hula hooping help us? Daily exercise helps reduce the risk of panic attack greatly. Hooping is also a great tool to be used during an attack. Not only is dancing itself very therapeutic, the music you choose can also play a role in helping you to feel better. Having something that makes you happy to focus on will help you to calm down. I have heard time and again that anxiety sufferers feel that they are able to "get lost" in hoop dance and it takes all of their worries away. Hula hooping is also great for building your confidence and helping you find friends to lean on. As you can see, hula hooping is a wonderful partner to combat anxiety disorders, along with proper medical attention, good eating habits, and relaxation exercises. You too can use the magic of a hula hoop to get relief of even your scariest moments. **If you ever feel that you are in danger of harming yourself or others, or are too afraid, do not be afraid to seek medical assistance. I find this amazing! I hooped as a child, an just happen to come across your pages. I have a 12yr.old grandaughter who has anxiety. . A tremendous amount of it, she’s on medication. I see this as a way for her to (maybe) relax those demons inside her! I can’t bookmark your pages.. so please send me a page with information needed for her to start this..
Hey PJ, thanks for the comment. 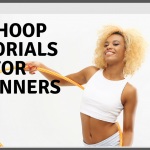 Hooping definitely can help relieve anxiety as our team members pointed out in the article. As far as how you can help her get started. 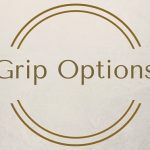 Well we will have our beginners area up soon, in the meantime I have asked one of the Infinite Circles amazing admin, and the author of the article Maranda. 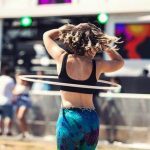 This Article was so helpful considering I own a business for hula hooping and at the moment I am studying how hula hooping relieves anxiety. That is fantastic to hear, let us know if we can help you with your research.